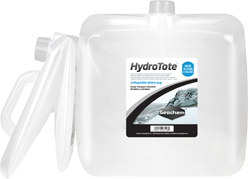 The HydroTote is a collapsible jug that holds up to 20 L (5 gallons). 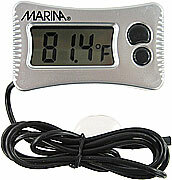 It's perfect for customers that get their saltwater, RO water, or DI water at their local fish store. When not in use, it easily folds up to take up less space. 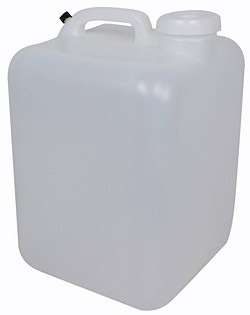 It pours easily and can withstand a drop of up to 3 meters while full. Customers asked for it, and Seachem delivered. 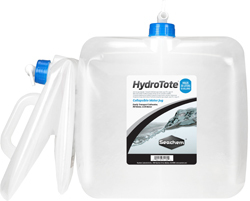 HydroTote is the ideal space saving alternative for users of current 5 gallon hard jugs that simply consume too much space in the shop.